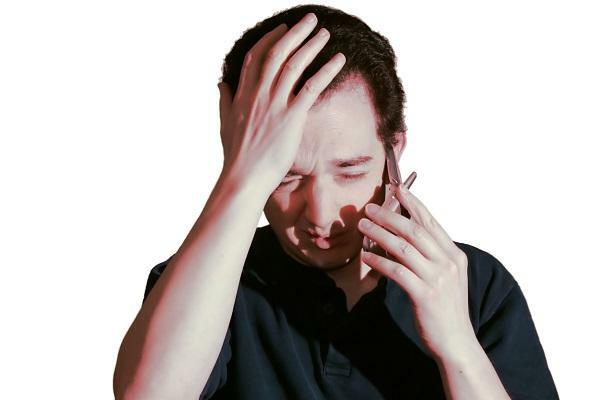 Complaints as a proportion of telcos’ services in operation (SIO) dropped a further 15 per cent in the September quarter of July to September, according to the Telecommunications Complaints in Context report. The Telecommunications Complaints in Context report is a quarterly release jointly published by the TIO and Communications Alliance. The result for all participating providers reflected 5.5 complaints per 10,000 SIO, a decrease of 15.4 per cent as compared to the April to June 2015 quarter (6.5 complaints) and a dip of 20.3 per cent when compared to the July to September 2014 quarter (6.9 complaints). Complaints in Context results reflected the overall trend of reduced complaints to the TIO, which fell 14.8 per cent year-on-year to the lowest level since the July to September 2006 quarter. In the period, all industry participants’ complaints per 10,000 SIO also showed a decrease, with Telstra recording its lowest result to date at 5.5 complaints per 10,000 SIO. Telstra recorded a SIO of 6 last quarter and a SIO of 6.8 the same time last year. With 4.1 complaints per 10,000 SIO, Vodafone’s result was almost a third of that reported in the same period last year (12.2 complaints). The telco had the most drastic change, recording 12.2 SIO complaints in the July to September quarter last year and 6.3 complaints last quarter. Optus’ complaints in context also decreased – from 8.5 complaints in the previous quarter to 6.7 this quarter. However, even though its complaints in context decreased between the July to September 2015 quarter and the former, it showed a rise when comparing it to the same time last year. 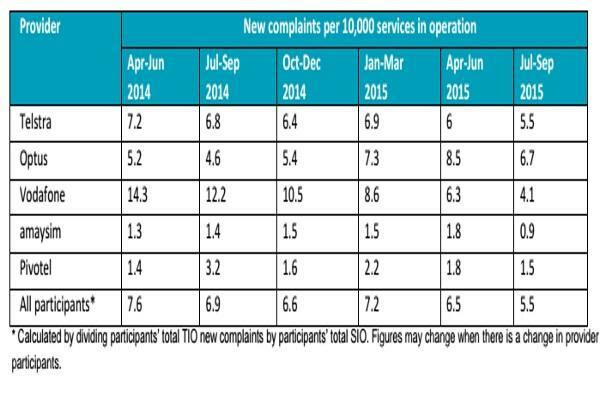 Optus reported an SIO of 4.4 complaints in July to September 2014, 2.1 complaints lower than the July to September 2015 complaints.